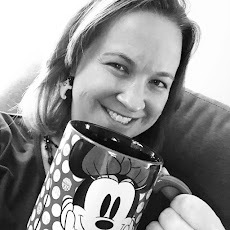 Running on Pixie Dust: What makes Walt Disney World Resort #WonderFALLDisney? What makes Walt Disney World Resort #WonderFALLDisney? A few weeks ago, I turned into the Disney Parks Live Stream from the Walt Disney World Resort to catch a glimpse of the Hocus Pocus Villain Spelltacular Show that is part of Mickey's Not-So-Scary Halloween Party. During the broadcast, Disney Parks commentators shared some of the reasons that Fall is one of the best seasons to visit. I've had the pleasure of taking part of some of these events before, and others I'm excited to experience for the first time when our next trip begins in just about a month! Epcot's International Food & Wine Festival - This classic festival that has been a part of Epcot for over 2 decades showcases food and drinks from around the world as well as some of the best celebrity chefs one can imagine. 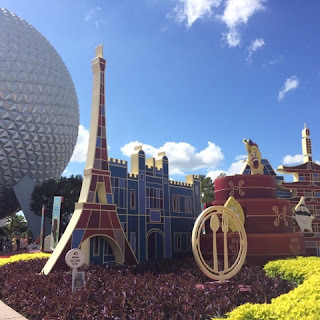 Last year, we had a wonderful time eating our way around Epcot. One of my best tips for beginners to the festival - don't bother making lunch and dinner reservations. You'll be so full from snacking at the delicious kiosks, you won't need to stop and sit down for a full meal! And don't forget to check out the Chase Lounge if you have a Chase Visa credit card. Mickey's Not-So-Scary Halloween Party - I have to confess that I am a little bummed were going to be missing this. In case you missed my previous post, we opted out of attending this annual event due to the late night with young kids and ridiculous Halloween weekend pricing. However, when I was watching the Live Stream from the party in September, I have to admit that the whole event looks fantastic. I'm sure we'll end up going at some point when the kids are older. Here's wishing all of you attending a spooktacular time! runDisney - The first weekend in November means that runDisney has once again returned to the Walt Disney World Resort. As the only fall race in Florida, this is a very popular ticket. 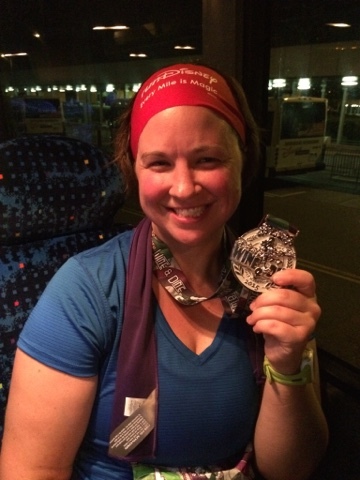 I ran Mickey's Jingle Jungle 5K and the Wine and Dine Half-Marathon in 2015 and can't wait to see the changes for 2016. With a new Wine and Dine 10K and Lumiere's 2-Course Challenge added to the menu, as well as the time change for the half-marathon to a morning start, there is sure to be lots of excitement and opinions surrounding this event. Good Weather, Lower Crowds, and Great Deals - Long gone are the high temperatures and paralyzing humidity of the summer. Instead, you'll find pleasant temperatures and smaller crowds with school back in session. Fall can also feature several great travel deals. This year, free dining once again made a return to the Walt Disney World Resort as did percentage off offers for room only reservations. While the booking window has passed for most of these great offers, deals are still available for the popular holiday season and Disney Visa cardholders have their preview this week of special offers for the beginning of 2017. We're counting down the days to our #WonderFALLDisney vacation. What are your favorite events of this season?